Smart, stylish and effortlessly cool, it's a warm weather classic that's sure to have every head turning. The shirt has the T-shirt fitted inside, so it looks amazing with the shirt fully opened, or slightly unbuttoned. 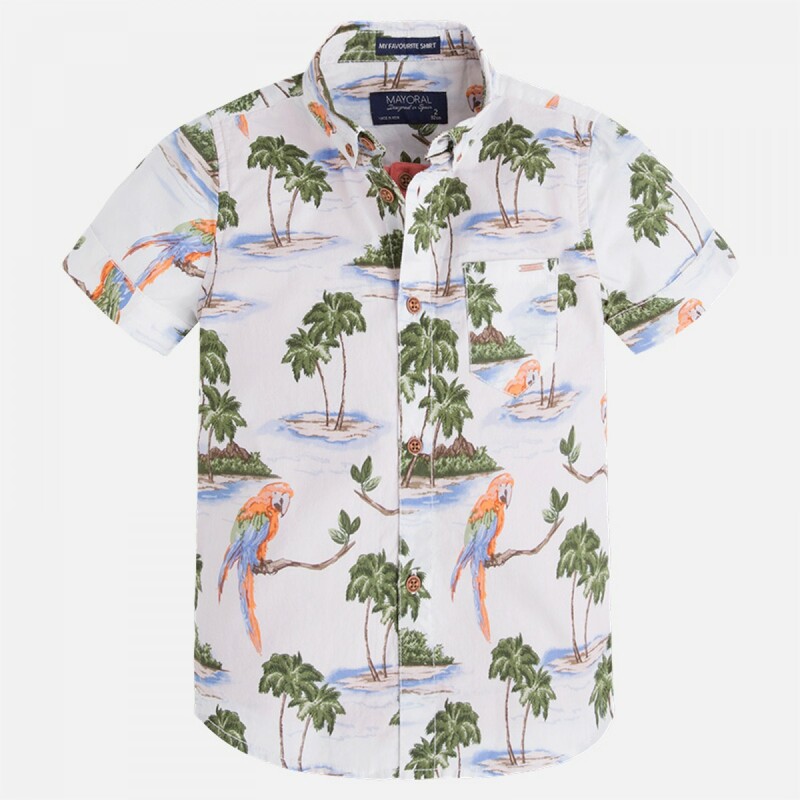 It's a colourful, tropical themed summer classic, that you can wear dressed up or down. The parrot print is perfect for the beach, but looks just as cool at a special occasion or barbecue.